Hello, My name is Xxxxxx Xxxxxx. And my HHonors member number is #000000000. I would like to apply for status match, please find and check the photo image that has been attached to this E-mail. 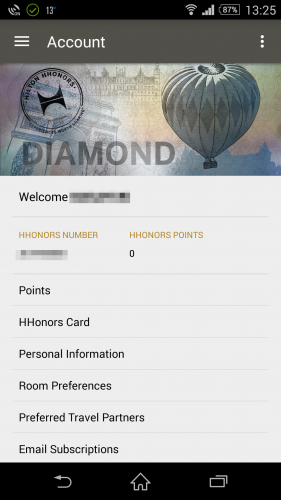 I am a Platinum member of LE CLUB ACCOR HOTELS, and the attached photo image is a my ACCOR’s Platinum Card. Thank you for your request to “HHonor My Status.” We appreciate you taking the time to contact us. Congratulations! 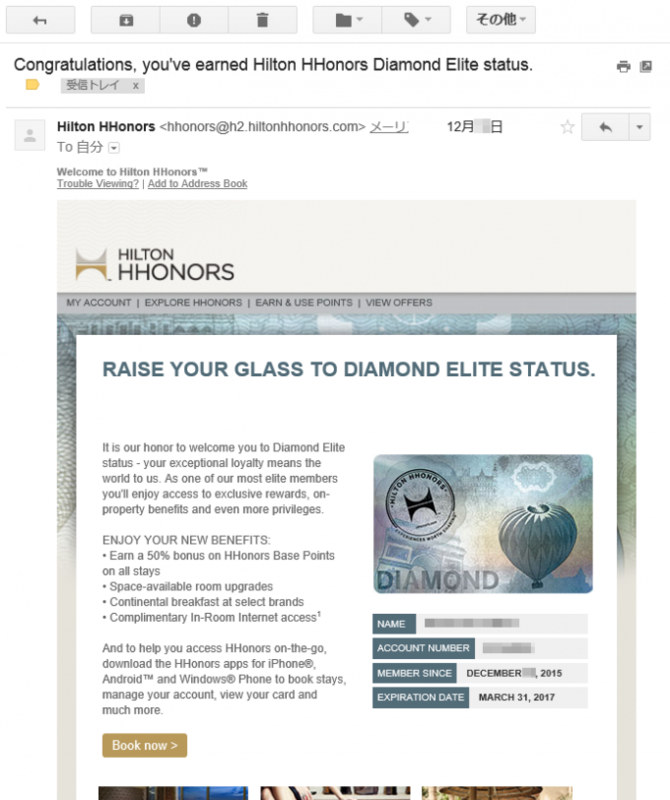 Your HHonors account has been upgraded to Diamond status. Please allow 4-6 weeks for delivery of your new card. Your status will be active until March 31, 2017. Copyright© Happy Mileage! ANAマイレージ SFC修行 All Rights Reserved.